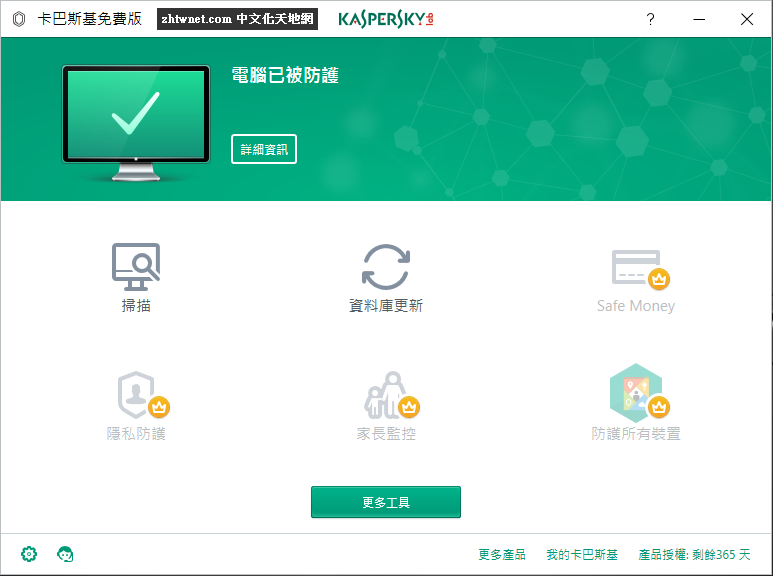 Kaspersky Free is a free antivirus application that contains all the bare essentials found in Kaspersky Antivirus and Internet Security. Kaspersky Free worked smoothly on Windows 10 in our tests and had minimal impact on PC performance. It’s definitely worth looking into if you can’t afford a premium antimalware application just yet. Full and quick scans can be scheduled to run automatically by Kaspersky Free. You can send suspicious or infected files to the quarantine, examine reports, temporarily disable the real-time guard, allow auto scans when the PC is idle, disable scheduled tasks when running on low battery, and allow the tool to check the PC for rootkits.